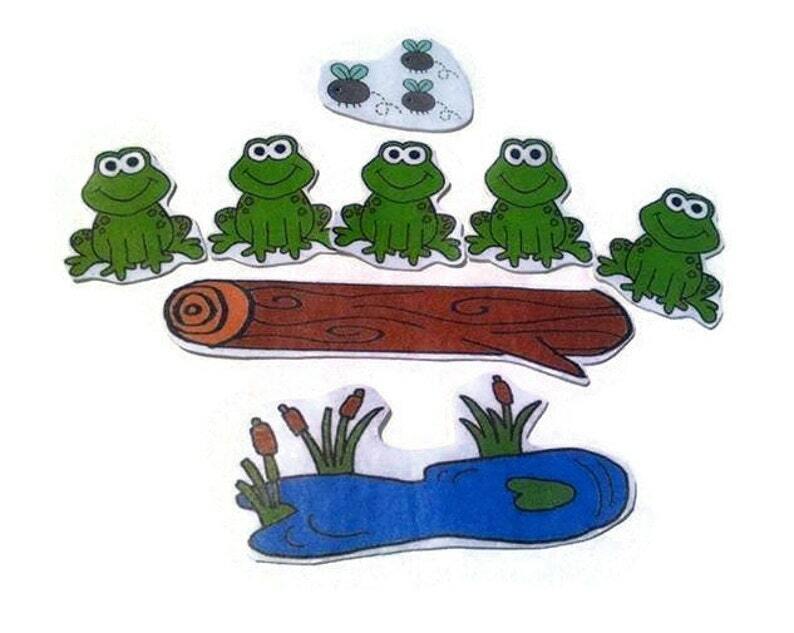 Your child will have a blast playing with these sweet little speckled frogs to go along with the well loved finger play. The story comes to life with these 8 felt board pieces that are great for independent, quiet play or group activities. These pieces are made of felt and will stick to felt or flannel.